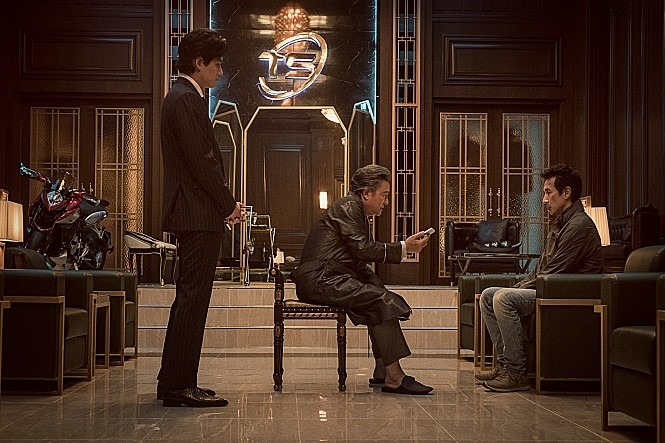 SEOUL, March 15 (Yonhap) -- There's nothing in the world of Lee Jeong-beom's cop drama film "Jo Pil-ho: The Dawning Rage" that you haven't already seen. There are mobsters who are cruel but occasionally stupid, dirty cops and even dirtier conglomerate owners with a dark connection to those in power. This kind of world has been featured in many Korean crime thrillers before. Lee also has done the macho crime drama before: He wrote and directed "Cruel Winter Blues" (2006), in which Seol Kyung-gu played an angry hoodlum who goes after a rival mobster who killed his childhood friend. Lee also wrote and directed the intense "The Man From Nowhere" (2010), in which Won Bin played a quiet pawnshop keeper with a violent past who takes on a drug-and-organ trafficking ring in hopes of saving the child who is his only friend. The main character in "Jo Pil-ho: The Dawning Rage" matches the ones in films where the bad guy fights for somebody. And this time also the protagonist is never actually bad -- though he is a corrupt police officer with many rough edges, intolerant at times and ill-tempered. The one newish twist here is that the movie is set in Ansan, in which characters live with the sad personal memories of children who died in the Sewol ferry disaster. The ferry sank in waters off the country's southwestern island of Jindo on April 16, 2014, leaving more than 300 passengers dead or missing, with most of them high school students on a field trip from Ansan. It was quickly seen as largely man-made -- the cumulative result of lax ferry-related laws and state regulations, ferry operators who made full use of the situation to make profits, inexperienced crew and the government's poor handling of the rescue operation. There is no direct relevance between the real-world story of the ship sinking and the movie's main plot. But the disaster is an important part of the story of the main female character. The director cleverly uses it for describing a society where greedy grown-ups drive children to the brink of death. Local audiences will likely well receive his apparent directorial intention to paint the lingering sadness of people who lost their loved ones in the disaster and ask grown-up viewers to be genuinely "good" people. 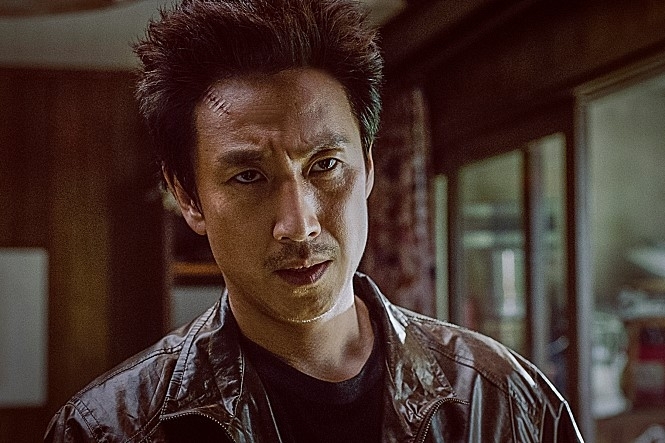 The movie begins with Jo Pil-ho, ably played by Lee Sun-kyun, a corrupt cop based in Ansan with links to the underworld. He plots to steal valuable confiscated goods from a police warehouse as he's in urgent need of a large sum of money. But the building explodes right in front of his eyes after his henchman Gi-cheol (Jung Ga-ram) sneaked into it on his orders. As Pil-ho comes under a police probe as a prime suspect in the case, he sneaks into Gi-cheol's home to find out what is going on only to discover that his money in the young man's safe has disappeared. He then goes after Gi-cheol's ex-girlfriend Mi-na (played by Jeon So-nee), who ran away with the money. He catches the girl after a lot of work and discovers that she has video footage on her cellphone from Gi-cheol that he filmed minutes before his death of what he secretly saw inside the warehouse. Pil-ho works to secure the phone as proof of his innocence but bumps into Kwon Tae-joo (Park Hae-jun), the right-hand man of the chairman of Taesung Group, a fictional top conglomerate, who is after the teenage girl. Luckily, for most of the movie's running time, you won't have a chance to be distracted, because it is often dizzyingly intense and packed with thrilling action scenes and witty lines. However, it is not a great movie -- just above average -- largely because of the unnecessarily long and confusing intro and ending scenes that remind viewers of its identity as a commercial action movie. The movie is set to premier next Wednesday.